The main idea of "Socialism: Utopian and Scientific" was distinguishing scientific socialism and utopian socialism. Engels begins by chronicling the thought of utopian socialists, starting with Saint-Simon. He then proceeds to Fourier and Robert Owen. In chapter two, he summarizes dialectics, and then chronicles the thought from the ancient Greeks to Hegel. Chapter three summarizes dialectics in relation to economic and social struggles, essentially echoing the words of Marx. Socialism: Utopian and Scientific is one of the most important works for understanding Marxism. 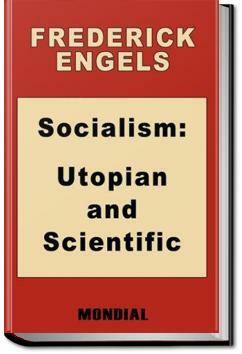 In this work Engels establishes what scientific socialism really is in three main parts. dialectics for the cool kids. historical materialism for the pals.